This San Francisco Dinner Cruise is the perfect way to celebrate birthdays, anniversaries or any special evening for parties of 2 to 20 guests. 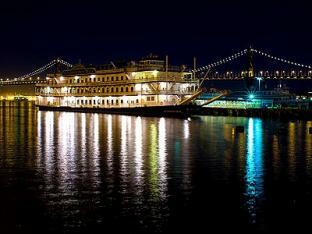 Aboard our dinner-dance cruise you'll enjoy delicious food, live entertainment and breathtaking bay views. Tax and gratuity are included in the price of this cruise. This is a recurring event that happens every Sunday, Wednesday, Thursday, Friday, Saturday until Apr 19, 2019.